Mambo from Merikani! 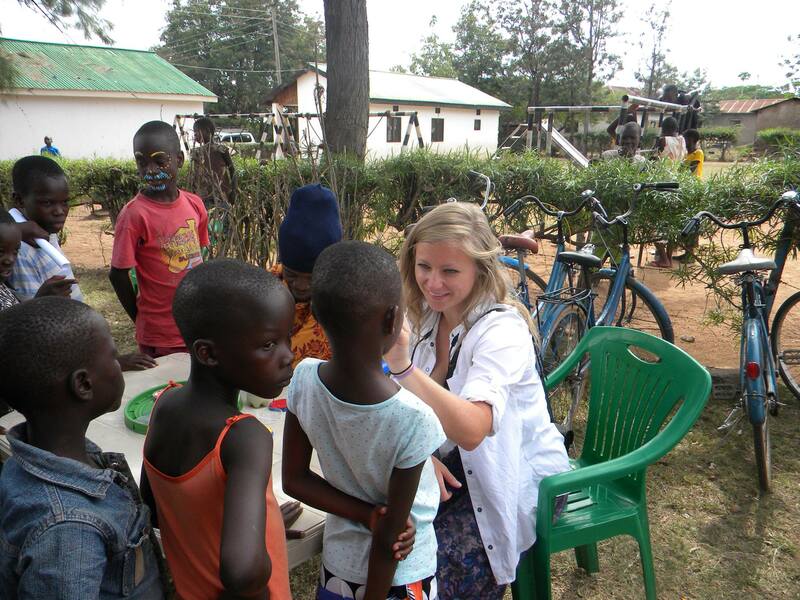 My name is Samantha Nelson, and I studied abroad in East Africa during the fall of 2015. Coincidentally, I spent most of my time in northern Tanzania with World Learning SIT, the same program Maji Safi Group co-founders Bruce Pelz and Max Perel-Slater studied with in 2009. Believe it or not, I have also returned to Bruce’s hometown of Boulder, CO, where I plan to graduate in the spring from his alma mater, University of Colorado. Oh, and did I mention we have the same major? Let us rewind a little bit, so I can tell you how and why I started working with Maji Safi Group (MSG) in the first place. As a double major in the natural sciences, I thought studying abroad in Tanzania would provide me with the quintessential experience and subsequent skill set I needed to develop my very own natural science study. This opportunity would manifest itself through the Independent Study Project (ISP) that serves as the pinnacle field study section of SIT’s programs. The ISP gives students an entire month to conduct independent research in an international setting. During this time, I envisioned myself romping around the rainforest, posted up on the coast of the Indian Ocean researching coral reef ecology, species conservation, or something of the like. But here comes the plot twist – I didn’t want my ISP to be yet another nicely bound packet of paper that sits on the shelves of the SIT office in Arusha with no real application other than as a reference point for other SIT students. Upon further contemplation and a little self-reflection, I realized that I wanted to use my ISP as a chance to provide a service that would directly benefit Tanzanians based on their needs and wants. So, almost surely, you now all understand the logical sequence of events that followed and culminated with me studying the menstrual health and personal hygiene practices of girls ages 12-25, right? Once in contact with Max Perel-Slater, MSG’s co-founder and Tanzania Executive Director, we went back and forth for a couple weeks, contemplating ISP topic ideas that would amalgamate the needs of the organization with my own interests and niche experience. While doing so, Max briefly mentioned MSG’s Female Hygiene Program (FHP), and the ‘budding feminist’ within me instantly perked up. Intrigued, I asked what work I could do to help this program, and he explained how the group had been meaning to collect some data that would help the organization update and expand the FHP. “Hey, I could totally do that!” I thought, and we decided to get the ball rolling. To do so, Max put me in contact with MSG’s dynamic and upbeat Tanzania Director of Operations, Emily Bull – who, funny story, is yet another SIT Study abroad alumnae. With the help of Ms. Bull, I developed a survey for adolescent girls and young women in the District of Shirati, a rapidly growing area on the shores of Lake Victoria. The survey targeted girls in both primary and secondary schools, in the FHP, and around the village. The purpose was to learn more about these females’ knowledge of and practices concerning personal and menstrual hygiene and to explore related social implications, such as school attendance and access to family planning resources. 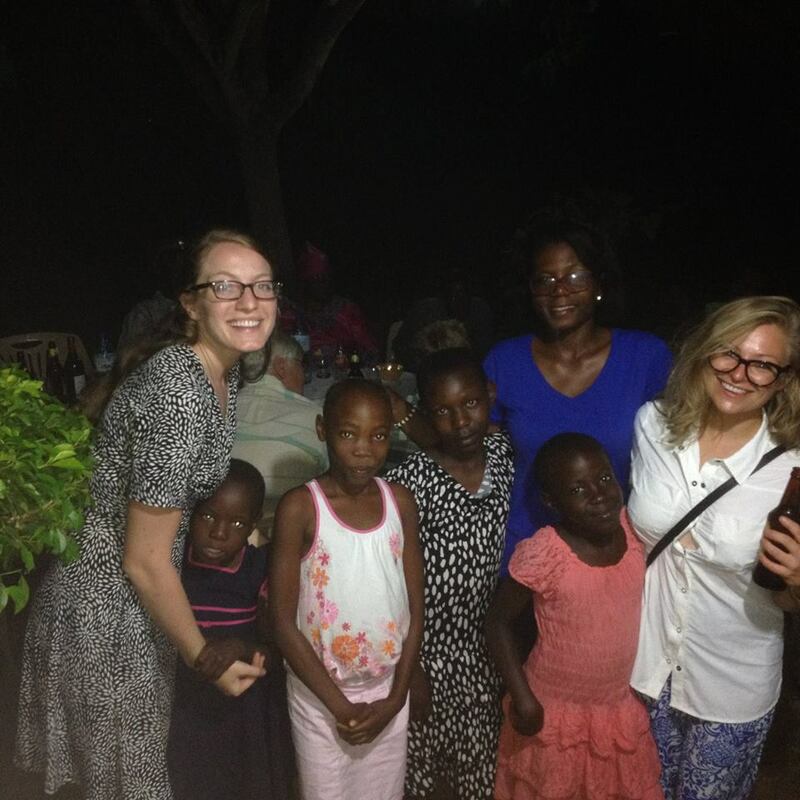 Pictured left to right: Emily Bull, Bena Migenda and Samantha. The groundwork for this project was laid during a weeklong period in October where I took Max’s advice to make the 12-hour trek to Shirati to check out the site and familiarize myself with MSG employees and members of the community. During this time, I finally met Max and Emily as well as MSG’s charismatic and devoted team of Community Health Workers (CHWs), whom I would be working closely with in the coming month. I also met Bena, my extremely overqualified and wonderfully charming translator, who became my study collaborator, travel buddy, and best friend in Shirati. 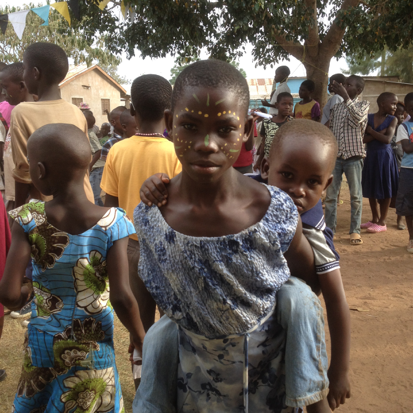 Bena accompanied me on all of my outings, and we worked closely with FHP teachers Linda, Mama Judith, and Lillian. The five of us went to the FHP’s triweekly meetings at local primary schools and the MSG office in Shirati. The highlight of my first enthusing week in Shirati was helping out with MSG’s Global Handwashing Day festival on Oct. 15th – a day relished across the globe for its ability to spread awareness about proper, yet often overlooked, basic hygienic practices. To celebrate this joyous day, MSG made appearances at village schools across Shirati. I accompanied one of the many teams of CHWs in the field that day to Obwere Primary School. Once we arrived, two hand washing stations were assembled; subsequently, a captivated audience of some 400 pupils and teachers watched Shalua, a delightful CHW, model the eight steps of hand washing. Students then had the opportunity to try the steps out for themselves, and they were encouraged to teach them to their family members at home. Following this informative morning, an after-party took place at the MSG office, complete with singing, face painting, and a dancing session that led to the infamous vumbi (dust) disco. Needless to say, the entire experience left me stoked to be returning to Shirati a couple of weeks later. Right now, I need to get back to working on Buffs for Maji Safi, a campus group that two other CU students and I started last month. Please tune in next week to see how my return to Shirati went. Hey everyone, it is me, Sam, again! Sorry for ending my last post with such a cliffhanger! I am back now and ready to finish telling you how my experience with Maji Safi Group ended, and how my journey with Buffs for Maji Safi began! For a quick refresher: I had just finished my Independent Study Project (ISP) prep week and celebrated Global Handwashing Day in Shirati where I laid the groundwork for my final project with SIT Tanzania. I then returned to Arusha where I developed my study design and finalized my survey. After going back and forth with Max, Emily, and my SIT professors, we decided I would survey female students from seven schools (six primary, one secondary) as well as girls in the Female Hygiene Program (FHP) at their tri-weekly meetings and young women in the village who had presumably not been exposed to MSG’s FHP. I would also attend FHP events to gather what I called ‘metadata’. I would use these observations to help contextualize my study and better understand what it means to be a maturing girl or young woman in rural areas in northern Tanzania. Upon my much anticipated return to Shirati, I could hardly wait to get the study going; however, formalities and logistics took precedence. I had to obtain permission from the headmasters of the schools I would be working in and visit the Shirati immigration office to get permission to work in Shirati. Then, on a glorious, not-so-sunny Wednesday morning, the study commenced. Speaking in a colloquial manner, Bena floated through the survey questions with our first participant, a village girl who worked at a little duka (store) in the town center – with me waiting nervously in the corner. Admittedly, the first interview was not perfect, but with each new interview, things went a little more smoothly, and I started to understand more and more. That first day, we managed to complete eight interviews. It turned out that finding girls in the village who had the time to talk to us and fit our criteria (either over 18 or having had a baby) was hard. However, on days when we ventured out to one, two or all seven schools, we managed to talk to as many as 20 girls in two hours. 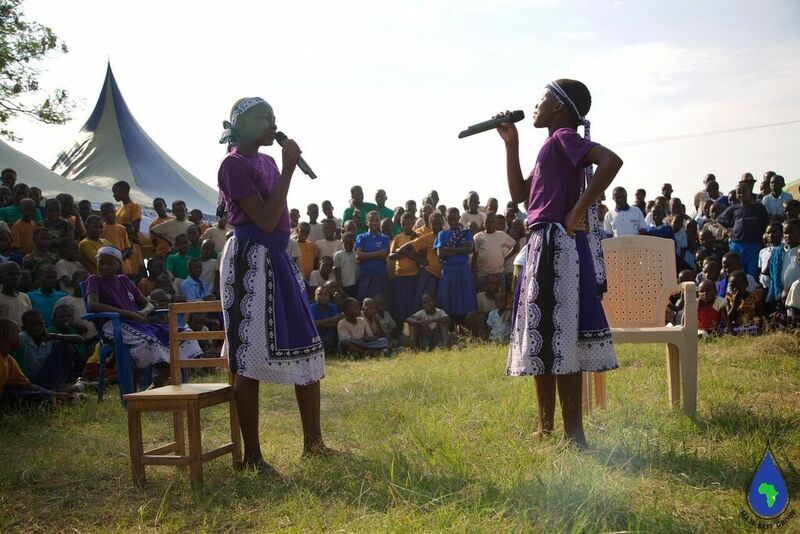 Female Hygiene Program participants perform a skit about menstrual hygiene management and preventing early pregnancy during an event for the Day of the African Child. When probed to respond, some girls were clearly more comfortable than others. Some young, and often pre-menstrual, girls gave little more than a nod and uttered a couple of sentences under their breath, but many others, notably village women and MSG’s Female Hygiene Program participants, radiated confidence and were elated by the opportunity to share how much they knew. By the end of the three weeks, 202 girls from 23 different schools and 21 different villages had completed the survey! Little did I know that the easier part was now behind me. The 25-question survey was awesome in that it provided us with tons of data, but the data now needed to be entered and analyzed. This task was easier for the “ndiyo” (yes) or “hapana” (no) questions. For the open-ended questions, assessing the responses proved to be much more difficult than anticipated. Perhaps the best example was the question, “Je, unajua maana ya ‘hedhi’?” (Do you know what ‘menstruation’ is?) If they answered yes, the girls were asked to explain what it was as well as why they thought women menstruate. Needless to say, these questions yielded a wide array of answers, which also warranted additional consideration to determine their most accurate translation. Consequently, I am still working on expanding and refining my analysis of the data; however, I will provide you with some general demographics as well as some key findings and their interpretations from my preliminary analysis. The average participant age was 14.5 years, and the average education level they had achieved or were currently enrolled in was C6. In the US, this is roughly equivalent to 6th grade. The average age at which participants began menstruating was 14.3 years, and 78.8% of them reported they did not know about menstruation until their first period. For those that did know about menstruation, the most common place they learned about it was at school. However, interviews with public school health teachers provided little to no explanation as to why a considerable number of participants lacked knowledge about menstruation as one teacher reported that female students begin learning about the topic when they enter C4. Furthermore, although it may not be initially concerning, nor surprising, that girls reported ‘school’ as their primary source of information about menstruation, it should garner some alarm. Females face many unique challenges when it comes to attending, excelling in, and completing school. Obstacles include safety concerns while traveling to and from school and while at school; social stigmas that favor educating males; and the need for private and sanitary restrooms, so girls can maintain their menstrual hygiene while getting an education. Sadly, these obstacles have manifested themselves as barriers for girls living in Shirati where more than two thirds of female students fail their primary school exams and are therefore unable to continue pursuing an education. Additionally, this somber finding conceals the countless number of girls who drop out of school before they are even eligible to take the exam. More private and sanitary toilets need to be built to enable girls to stay in secondary school after starting menstruation and reach their full potential. The reality is that adolescent girls and young women’s needs are not being met. Too easily, girls are allowed, and even encouraged, to slip through the cracks in an antiquated (public) school system and a patriarchal society. However, during my time in Shirati, I was able to see how Maji Safi Group combats these tribulations. 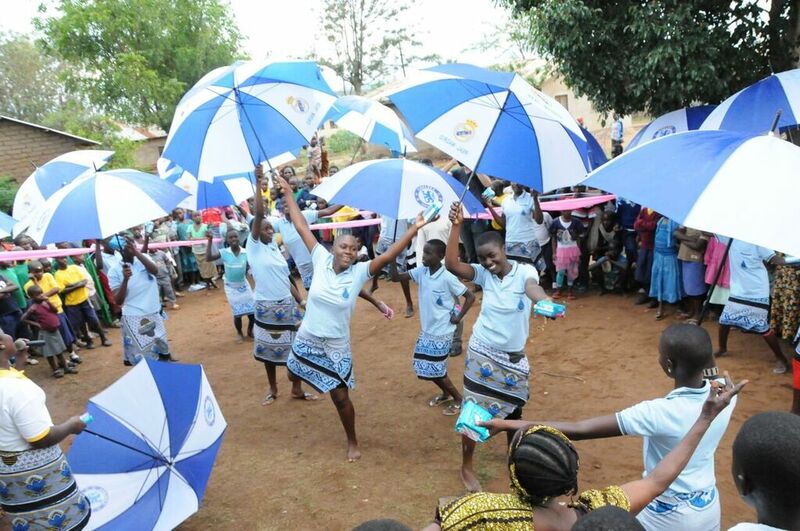 The organization acts as a much-needed safety net for the community’s females. MSG is able to provide them with educational opportunities and subsequently help restore their lost or negated potential. 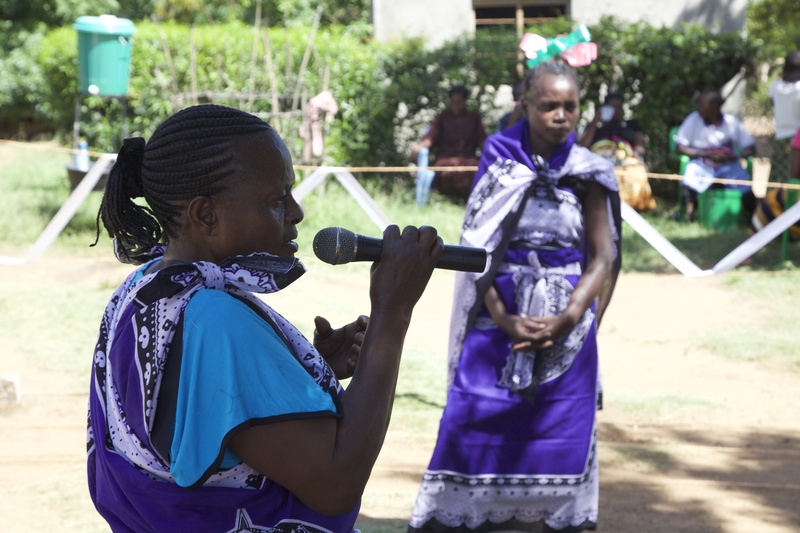 Female Hygiene Program facilitator Judith Mbache (front) speaking at a female hygiene event with fellow facilitator Linda Arot (back). While there, I observed a sense of purpose and a strong desire to teach and learn, exuded by MSG employees and program participants alike. One of my favorite examples occurred during my final interview with Mama Judith – truly a one of a kind FHP facilitator. When I asked if there was anything else she wanted me to know, she simply responded, “No!” and instead asked me (the student) for new information or articles that she could use to teach her FHP girls. Another fantastic instance was on a Saturday afternoon when the FHP girls came together to host a “Dining for Female Hygiene” event. The purpose of this affair was to allow the girls the opportunity to speak as topical experts and teach the guests of honor, i.e. 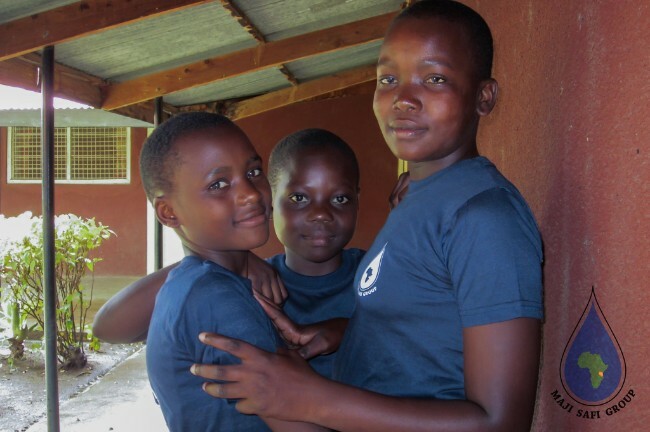 their own mothers, about puberty, menstrual hygiene, and even teen pregnancy. Female Hygiene Program participants and their female guardians at the “Dining for Female Hygiene” event that I attended. During my brief stay in Shirati, it became clear that not only has MSG developed a way to improve the lives of its female community members, it has also created an environment in which teachers are not afraid to be students, and students gain the confidence to become teachers and community leaders. Although I feel the time for me to say goodbye to my new friends and Maji Safi family came all too quickly, I am so grateful for the experiences they facilitated and the opportunity I was given to become a member of their community. All I can say is asante sana (thank you very much) to all of my friends and family back in Tanzania. I could not have done it without you, so thank you for making it possible! Since returning home, I have been fortunate enough to keep in contact and work with my Maji Safi Group family, as they have helped me and two other CU students, Alex Posen and Ryan Messinger, start a campus group called “Buffs for Maji Safi”. The three of us are working with Bruce Pelz to organize events on campus and work with the Boulder community to increase awareness and support for Maji Safi Group’s work in Shirati. We are also excited to help host Dr. Chirangi, MSG’s Senior Mentor and Medical Superintendent at the Shirati KMT District Hospital, at this week’s Conference on World Affairs (April 4-8) at the University of Colorado. 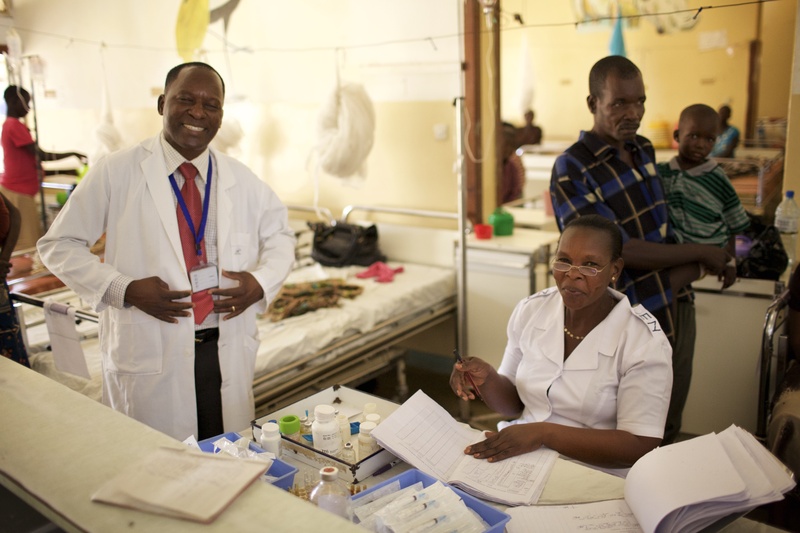 Dr. Bwire Chirangi at the Shirati KMT Hospital. If you live in the Boulder area and find yourself free on Wednesday evening and want to learn more about MSG, please email info@majisafigroup.org for info about opportunities to meet Dr. Chirangi. We hope to see you around, and for now, tutaonana baadaye (see you later)!